It seems like the food safety issues are going to linger around a bit longer with McDonald’s Corporation (NYSE:MCD) as the world’s largest fast-food chain served fries with human tooth and chicken nuggets with plastic in one of its Japan retail outlets. The past one year has not been great, both in terms of sales and in terms of health issues, for the fast-food restaurant chain. Earlier last year, a Chinese raw material supplier for McDonald’s Corporation (NYSE:MCD) was found packing expired meat and changing food labels over the products. This time, nuggets supplied by the Thai unit of Cargill Inc. had pieces of vinyl in them. The company reacted quickly to the matter halting McNuggets sale for the nuggets made on the same day at the plant. It is quite surprising that McDonald’s Corporation (NYSE:MCD) changed its suppliers in both the countries in July last year to prevent similar occurrences. A spokesman for Cargill Asia Pacific unit said that the company will investigate the problem and would work closely with McDonald’s to resolve the issue. The fast-food chain is transporting the infected nugget to its nation headquarter at Tokyo for further analysis. The fast-food chain is not doing well in Japan in terms of both share performance and the overall operating profits, as the company is likely to incur losses exceeding 17 billion yen in 2014. A similar issue occurred last month when a child drank a chocolate sundae with plastic object. 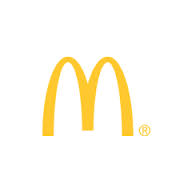 McDonald’s Corporation (NYSE:MCD) has observed declining same-store sales for the past ten months in Japan. Earlier this week, McDonald’s announced that the company would revamp its ‘I’m lovin’ It’ campaign and change its approach from “billions served” to “billions heard.” The company even started a restaurant, The Corner, in Sydney with healthy food options and beverages. The shares of the fast-food restaurant chain are trading at $94.01 with current P/E ratio of 18.47.